Christian fellowship is being in the company of people who think like you do. 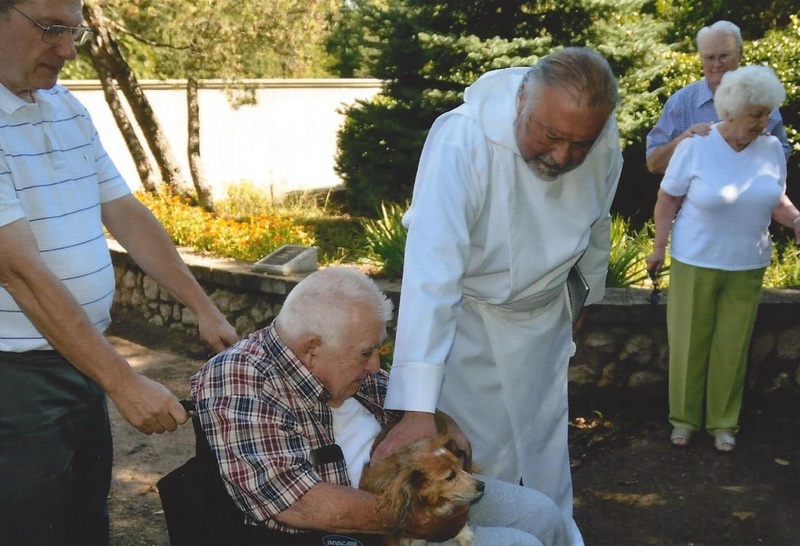 St. Bede’s is a family of believers who share God’s ideals and Christian beliefs. True Christian fellowship reinforces these things in our minds, is important to our growth as Christians, and helps us to focus on Christ and His desires and goals for us. In true fellowship, to encourage and edify, we share needs and discuss and share His Word. God designed his Church to be a fellowship. He commanded us to pray and consider one another; to serve with love and good deeds. 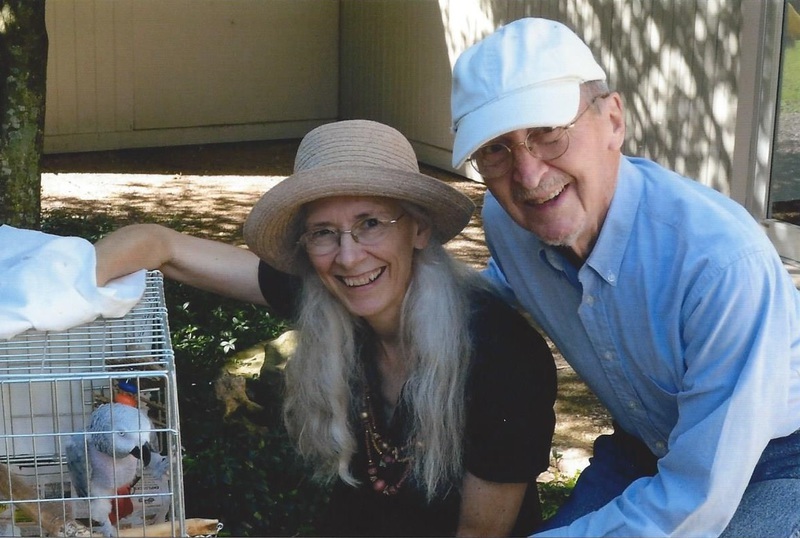 Do you think of your much loved pets as part of your family? If so, bring them to St. Bede's church Sunday morning, Oct. 1 for an after service blessing by the Rev. John Borrego, supply priest. Pets of non-members will be blessed alongside those of members. The church will be joining a worldwide group of Episcopal churches in their commemoration of St. Francis of Assisi Day. The 13th century priest, son of a wealthy cloth merchant, answered a call to a life of poverty while serving the poor and all creation. His lifestyle attracted others and resulted in the founding of the Order of the Friars Minor, better known as the Franciscans. 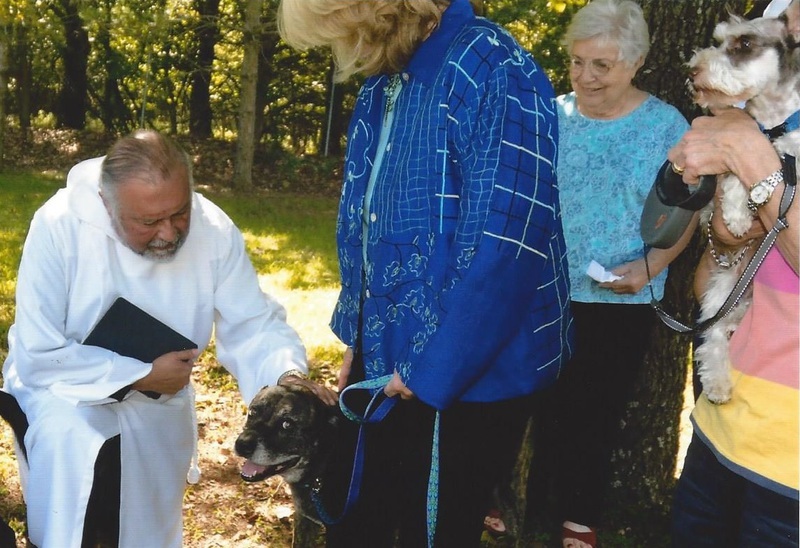 The Episcopal Church took up the observance for St. Francis as the Blessing of the Animals Day on the Sunday falling nearest his birthday. 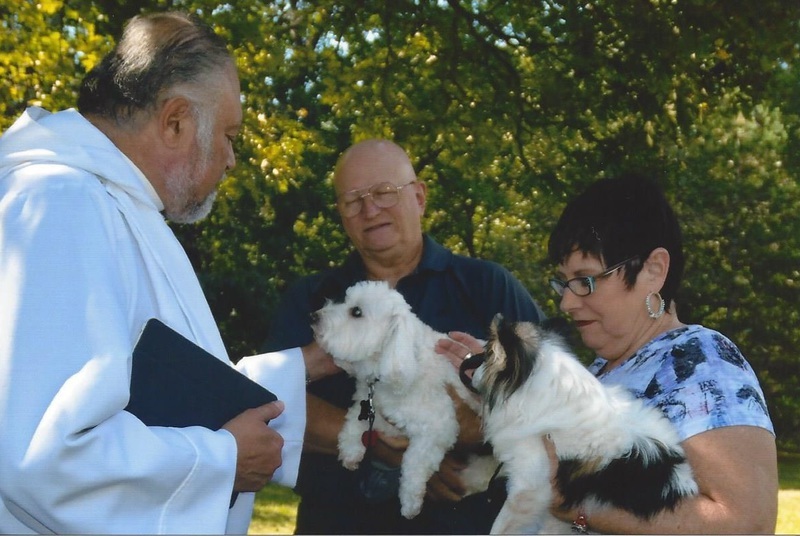 More dogs than any other animal have been brought for the Blessing of the Animals observance but pets are not restricted as to type. (Maybe cats figure they are already blessed and are in charge). 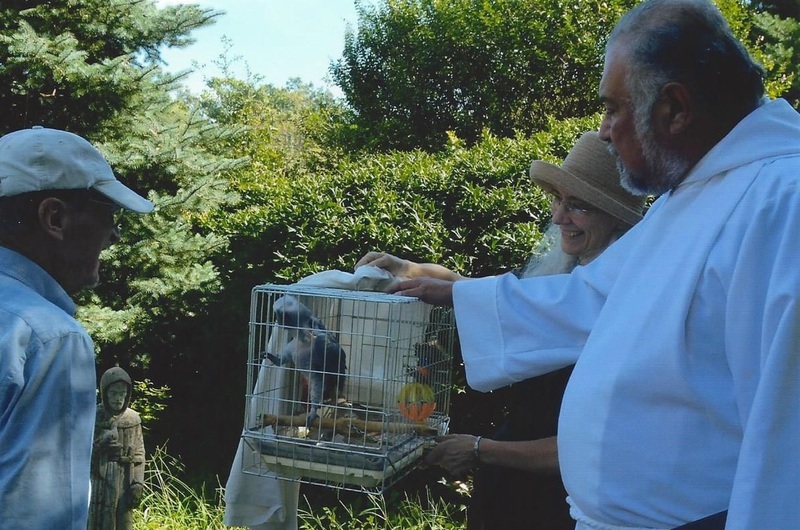 One member of St. Bede's was wavering last Sunday on whether to bring her gray parrot. 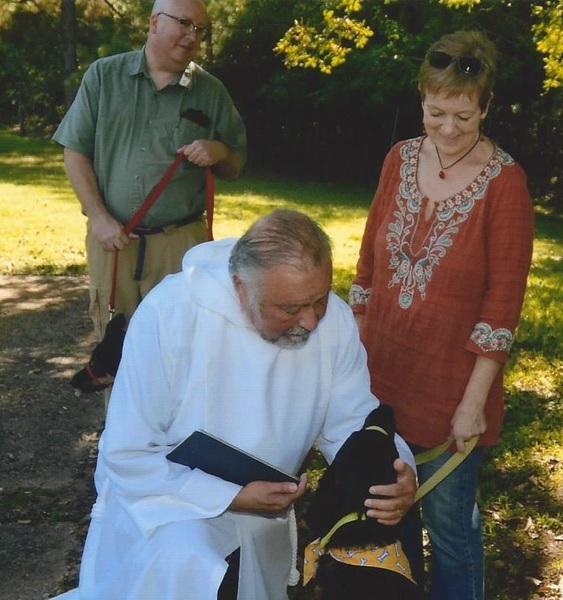 On a former St. Francis Day observance member Libbye Brooks brought her docile giant-size Labrador, Ruth, who thought she was a lap dog and stretched out to cover both the laps of Libbye and her late husband, Ken, in a pew. Some churches (but none in this area) have reported giving blessing to elephants, giraffes, snakes and bowls of goldfish. If any large animal is brought be prepared for the blessing to take place on the outside of the church. And be sure to have any animal brought under control. St. Bede's is located at 6960 Old Keystone Road. From Cleveland, head south on US412 to the Westport exit, cross the overpass to the Sheriff's substation, then follow old US 64 around the curve to the church (about 1/2 mile.) Welcome! St. Bede’s Episcopal Church of Westport is observing the golden anniversary of its founding. In recognition of the occasion, member Jane Strutt Sperry (pictured) presented a specially designed bowl from her kiln to the church. Accepting it on behalf of the church is the Rev. John C. Powers, St. Bede’s priest. 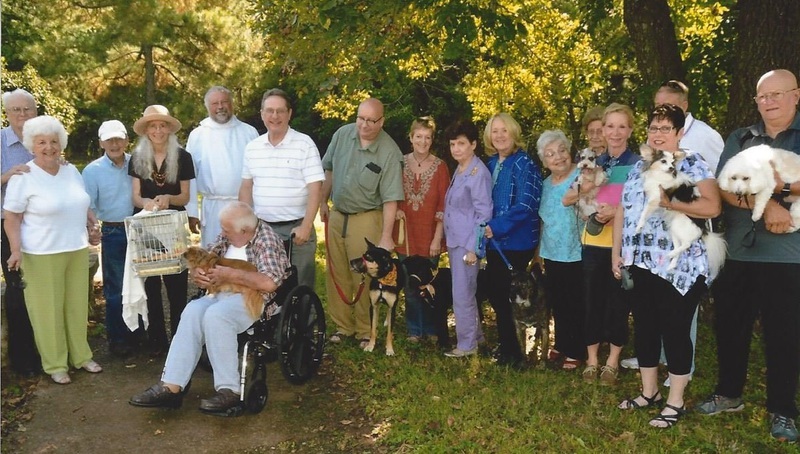 Founding church members first met in the home of Jack Harlow on Cherokee Street in Cleveland, Oklahoma in 1966 for communion on both the social and sacramental level. 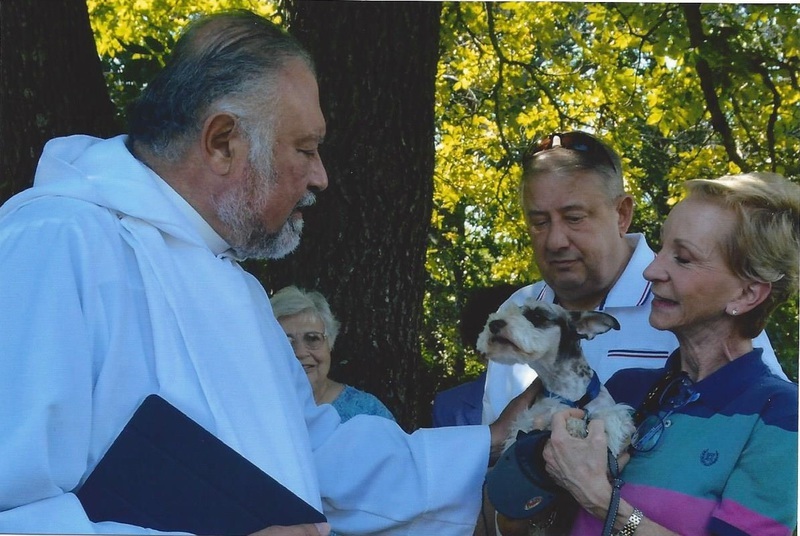 They were assisted in planning for their new building by Trinity Episcopal Church of Tulsa. Although self-supporting, the church in Westport still considers itself as almost a mission church of Trinity. John Brooks Walton of Trinity, who died last month, was St. Bede’s architect. The building itself was built and dedicated in 1967 and its 50th year of occupancy will be recognized next year.